Air Conditioning Installation - Contact Your WNY Cooling Experts Today! Armor Heating proudly offers our customers the finest brands for their air cooling needs. Whether you are looking for a air conditioner or a ductless mini-split, our experts will find the solution that will perfectly cool your home. At Armor Heating, we install both Carrier and Heil units. Browse our options in both below. Carrier is an Industry Leader in product quality and innovation. Call us today for all your AC installation and repair needs in Buffalo and throughout Western New York! Comfort is enhanced during the summer months with Carrier’s proprietary SmartEvapTM technology that aids dehumidification. 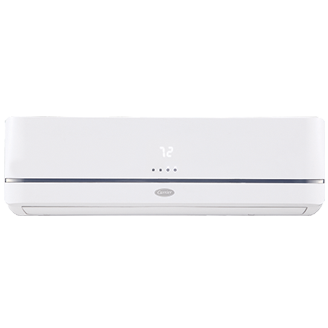 Working with your cooling system, this function periodically stops the multi-speed fan while in “constant fan” mode. Condensation drains harmlessly away to reduce re-humidification by up to 10%. Ductless mini-splits are the perfect cooling solution for a home without duct work. These mini-splits can efficiently cool your home during those hot summer days. Schedule an estimate with our cooling experts today.